I really do love the holidays. The music, the decor, the traditions; it’s a festive combination. 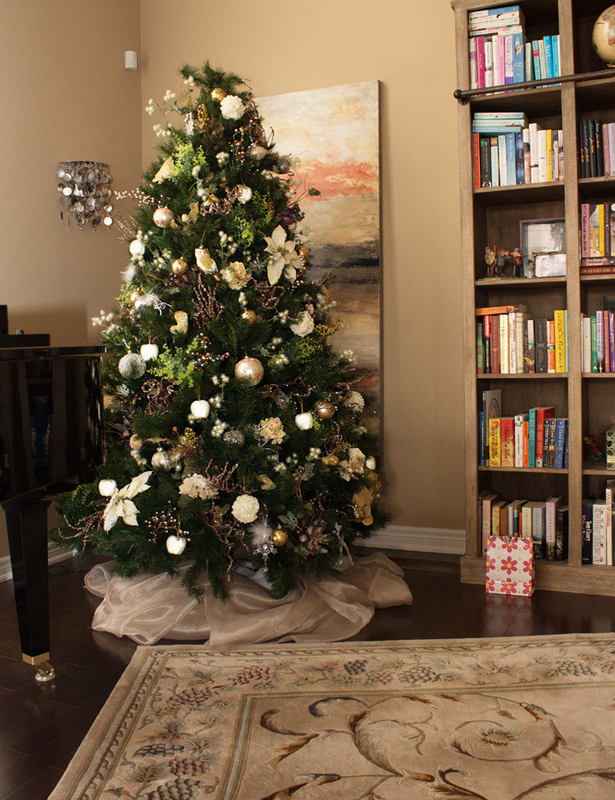 One of my favourite things to do is decorate for the holidays and, usually, it all starts with the tree. We see so many amazing trees in stores and online that look so full and interesting, but how do they actually achieve that look? It really starts with using big and full decorations to fill in the gaps and holes then finishing with ornaments and personal treasures. We can get stuck in the same routine; put up the same tree, in the same spot, with the same box of decorations we’ve collected through the years. This year, I challenge you to do something a little different. Put the tree somewhere new. 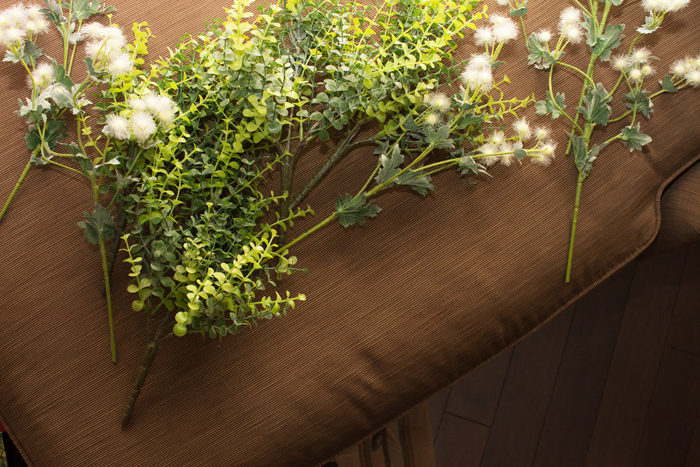 Try a new decor element. 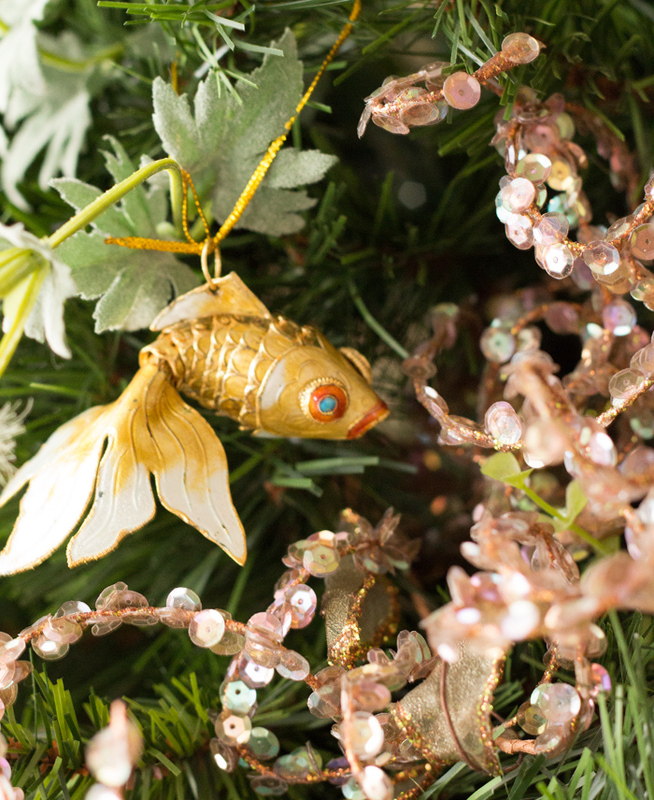 Mix your favourite ornaments with something quirky and whimsical. It’s all about shaking up the routine and combining old and new. I tend to move my tree around to a new spot each year. 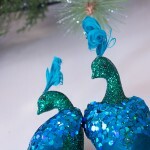 I also edit through my decorations and select which ones I absolutely must have on the tree. It’s okay if you don’t use every decoration, every year. So, here’s the tips to creating a full and beautiful tree. 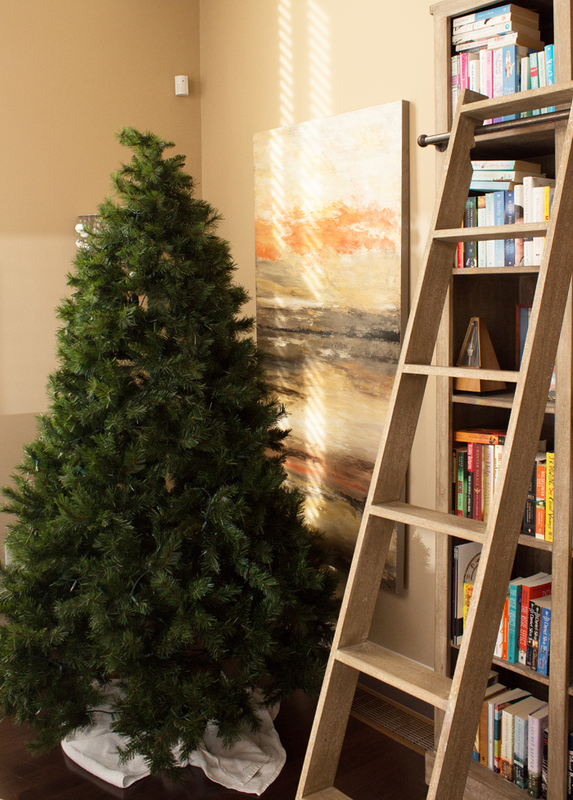 Step 1: Bring the tree up and find the perfect spot. 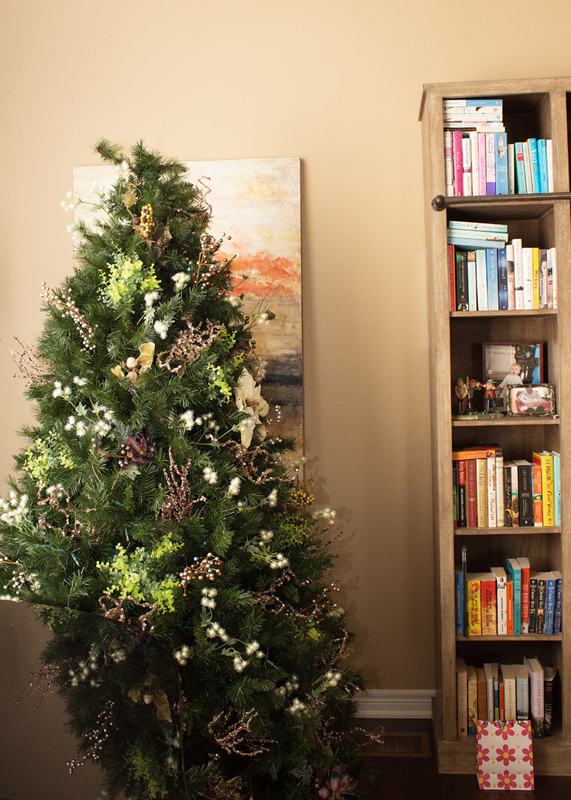 I like placing my tree in a corner so that I can put the best side forward and save on decorating the backside. I also place a towel underneath the base to protect the floors from scratching. The tree hasn’t seen much love over the past 10 months, so I begin by fluffing out the needles, filling in some of the spaces and fixing the lights. 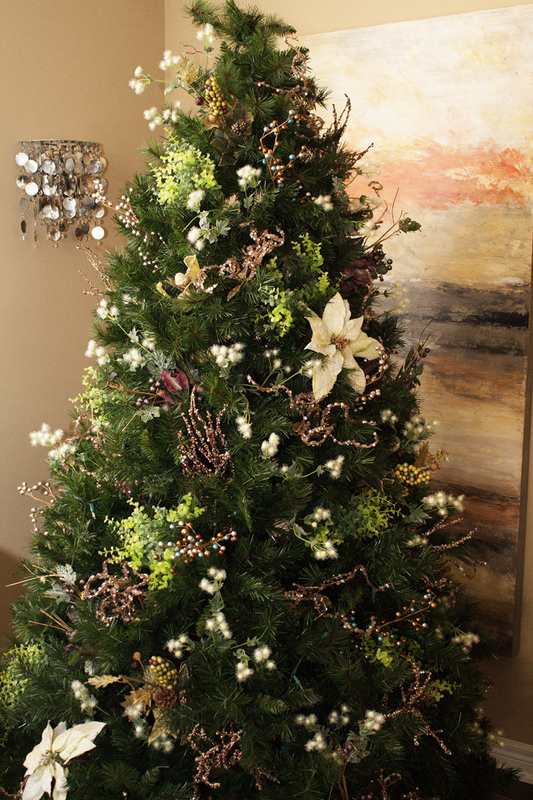 If you are using a real tree, really examine all around the tree and choose the best side to display. Still get in there and fluff things up a bit. 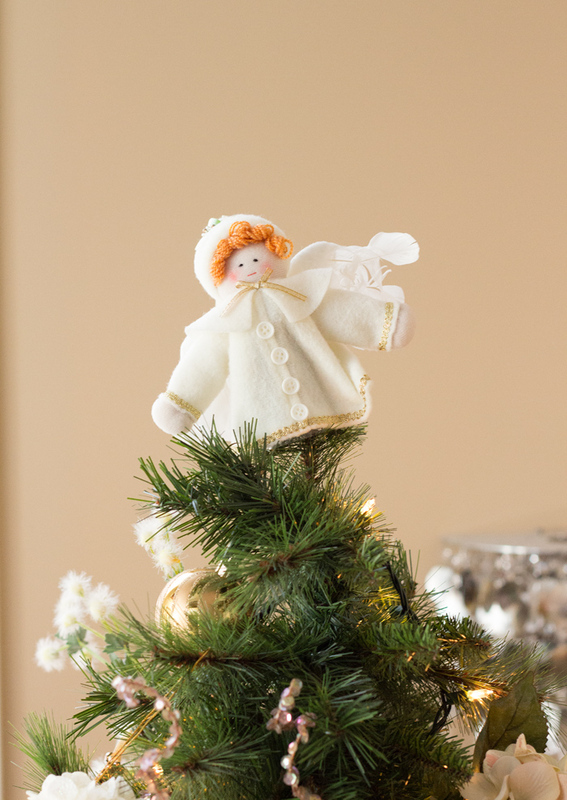 If you are using an artificial tree and it is already pre-strung, plug it in to make sure that all the lights are working, this way you can make adjustments prior to decorating if a light needs to be replaced or fixed. 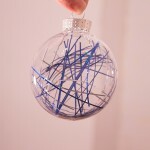 Similarly, if you are using a real tree, test all the lights before stringing on the tree. 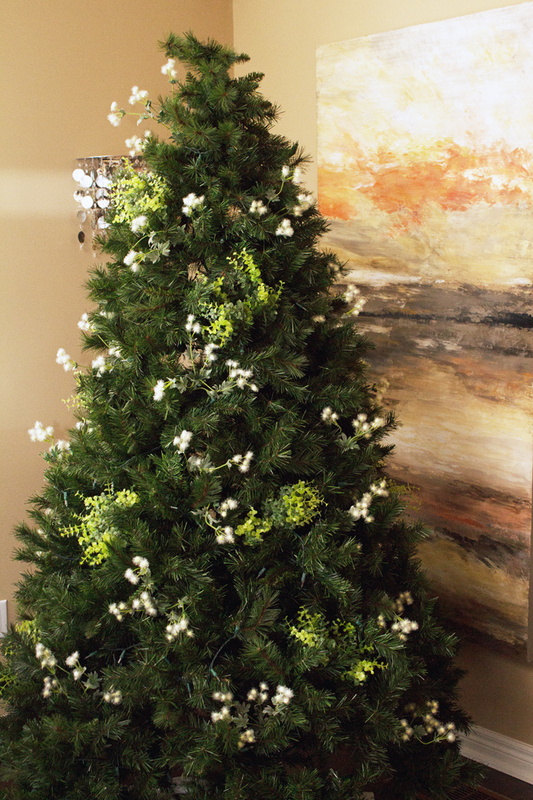 The best place to begin is to use large items, florals or twig sprays to fill in large gaps and holes in the tree. I’ve had my tree for over twelve years, so it has some spots that just won’t fluff out like they used to. I like to have decorations come out of the tree and I usually shy away from bows and garland, but let your own personal style come through. The key is to use decorations that fill up the spaces and create a more consistent look. Just keep going, taking a step back occasionally to eye-ball it from a distance. 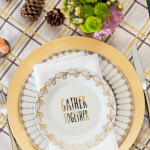 The full look is really achieved by layering and adding your larger decorations little by little. 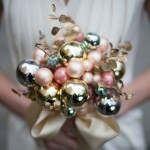 I suggest not putting any hanging ornaments until after all bunches, twigs, sprays etc are filled in. 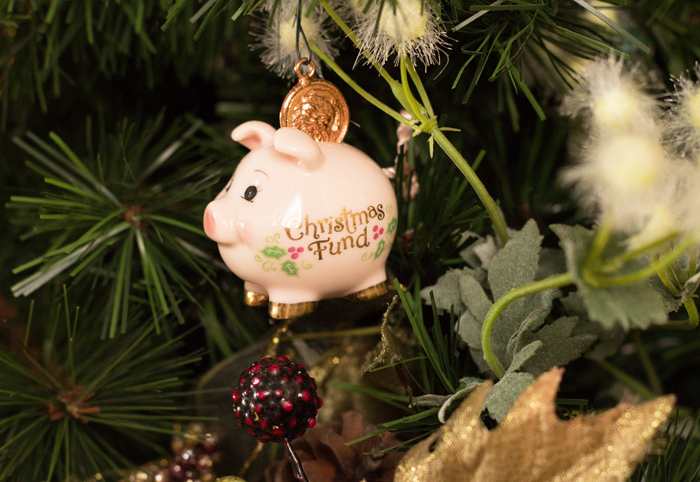 Carefully add your ornaments throughout your tree and ensure that coverage is even. I usually step back after I put each ornament on to see where the next one would balance well. If you like to add bows to your tree, you would add them at this time too. If the fillers are the base of your tree, then the ornaments are truly the decoration. This is where favourite items old and new can be placed and admired all throughout your tree. I like to put my favourite ornaments at eye level so I can see them easily. Final Step: Admire your tree! After you have put the final ornaments on, take a step back and have a good look at your tree. Live with it for a bit and if you feel you need to add more, go for it, but remember that it’s not about how much stuff you have, but how balanced your tree is that will help to create a full look. Sometimes too much is too much, so don’t add things unless they are meaningful to you. 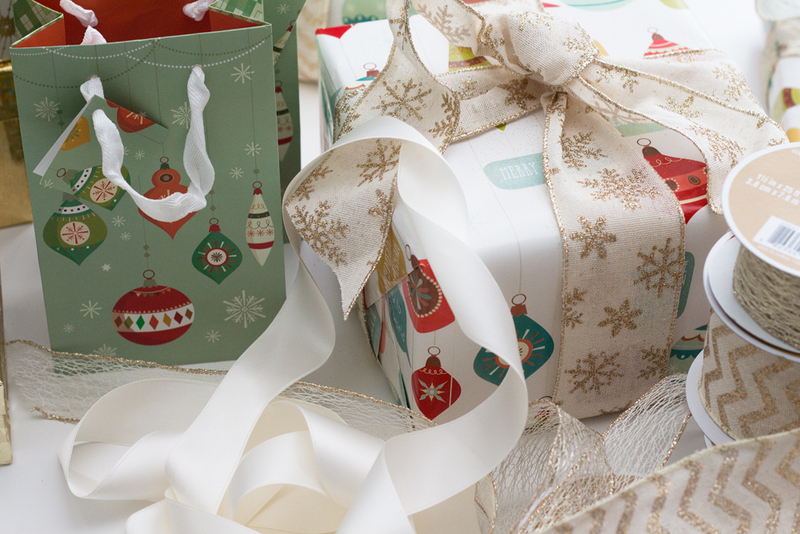 What are your holiday decorating tips?